Manila, Philippines - Team Sarah's young artist Darren Espanto sang Basil Valdez's song "Ngayon" on the final showdown Power Ballad Round of ABS-CBN's top-rating and Twitter-trending vocal competition 'The Voice Kids' Philippines on Saturday, July 26, 2014 at the Newport Performing Arts, Theater, Resorts World Manila, Newport City, Pasay City. The 12-year-old kid from Calgary, Alberta dubbed as 'The Total Performer' is among the Top 4 artists of the competition under Coach Sarah. 'Lahat na biniyaya ng Diyos sa iyo eh. Lahat ng iniidolo ni Darren ngayon, ilalampaso kayo ni Darren balang araw," Coach Lea said. "Never kang naging over-confident na bata. Nakikinig ka but meron ka sariling desisyon. 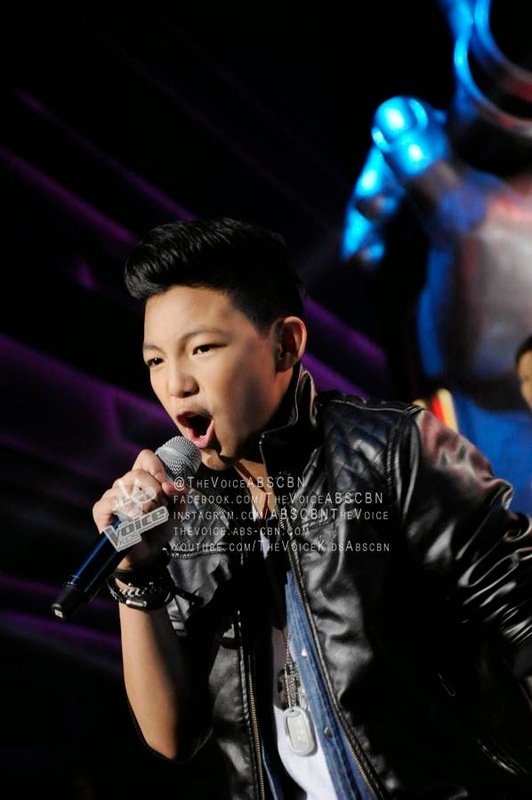 Ikaw ang karapat-dapat na tanghaling The Voice Kids Champion," Coach Sarah said to Darren. Aside from the Power Ballad Round, artists will also clash on Upbeat Song and Special Performance with Celebrity Guest Rounds. WATCH: The Voice Kids Philippines Grand Finale Power Ballad Round "Ngayon" by Darren Espanto (video). The finale episode on Saturday topped online conversations with '#TheVoiceKidsFinale' among the trending topics.